Frost and Sullivan found PHM vendors added predictive disease modeling, automated risk stratification and functions for identifying populations receptive to precision interventions. Today’s competitive value-based payment models are driving the need more customized population health management (PHM) programs – and that’s creating another twist. With the use of machine learning, a more proactive approach is underway, according to a new study by Frost & Sullivan on the U.S. population health management market. Gone are the traditional population health management (PHM) solutions that focus on high-cost patient populations. Now, providers are focusing ways to guarantee return on investment for the PHM solutions, and that means a more holistic and evidence-based approach that covers both high-risk and at-risk patients. What do the latest PHM solutions look like? They are focused more on preventive care and target patients as consumers. The U.S. PHM market is valued at $3 billion and expected to reach more than $7 billion within four years, says Frost & Sullivan. According to Koustav Chatterjee, transformation health analyst at Frost & Sullivan, PHM vendors are banking more on machine learning, with the use of predictive disease modeling and automated risk stratification techniques. They are proactively identifying populations that are most receptive to precise intervention, he said. There is a drawback, however. Privacy. Among the concerns are: security, quality control, and key performance. How to remedy it? Use “major multi-year PHM programs that are conceived, managed, and monitored in collaboration with end-users‘ internal IT governance teams and third-party IT solutions providers," Chatterjee says. 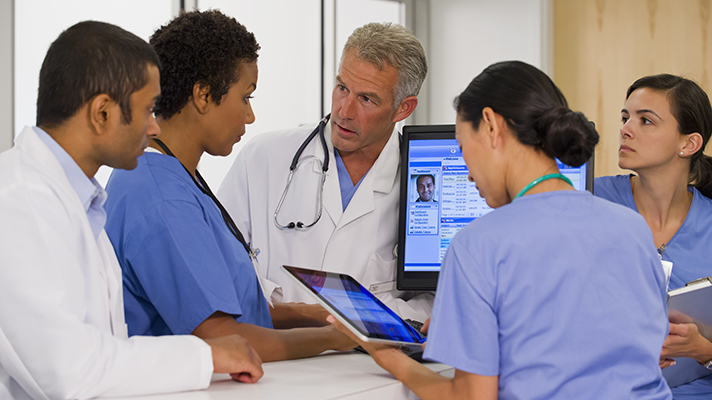 Frost & Sullivan suggested that healthcare IT shops looking to implement next-gen PHM platforms push vendors to focus using emerging technologies such as AI and blockchain to avoid duplicate records by establishing a patient registry, personalize diagnostic capabilities to include patient’s clinical, financial and behavioral data, automate care management, make care continuous and more effectively measure patient outcomes. To that end, we also reported today that social determinants can play a big role in pop health and valu-based care, as well. Understanding and working to improve the social determinants of health for patients has long been an important part of increasing overall population health, but they can also inform a more streamlined and compressed payment cycle as well.